When their names are called out for the morning attendance, Grade 7 students of Kalakhola Secondary School in Dang respond with names of games: “Badminton, football, horse-riding, ludo.” That is how they begin their English class where the lesson is about an annual sports event in a school. Teaching the class is Bidi Yolkey Rai, who uses the technique to build the students’ vocabulary by using sports to connect with the lesson. 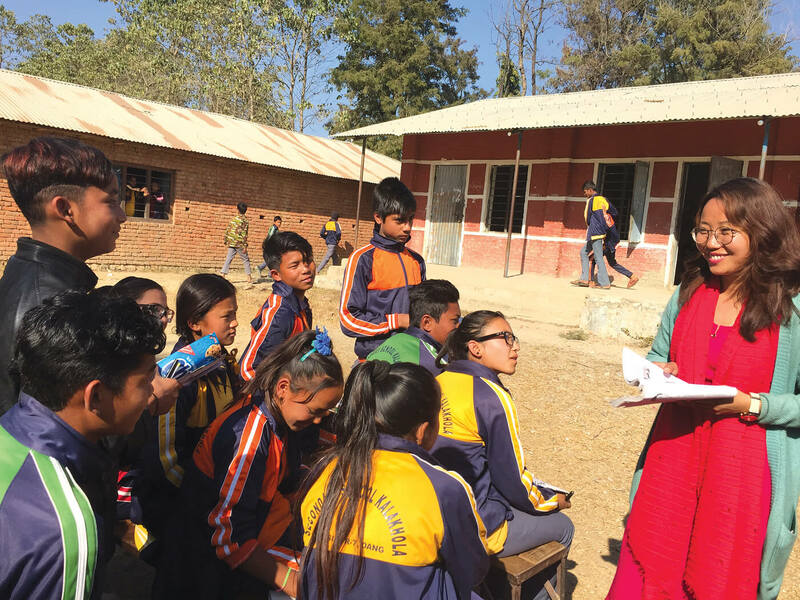 Rai has been working for nearly a year here as an English teacher, and is a fellow of Teach for Nepal which recruits young Nepalis to spend two years teaching in government schools across six districts of Nepal. 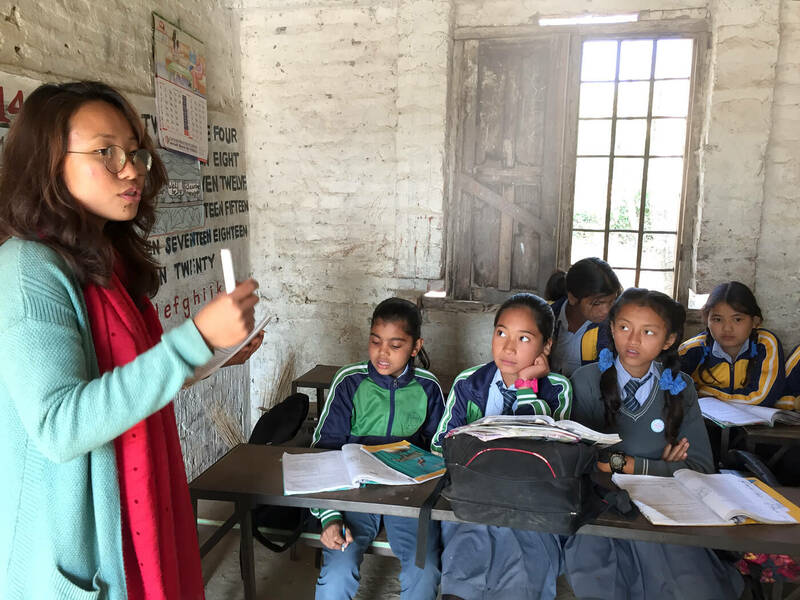 Teach for Nepal fellows like Rai try to inject the precious ingredient missing in most government schools in Nepal – a passion among teachers to teach. Rai’s aim in class is to get her students to enjoy learning. And she does that by enjoying teaching herself. Rai’s classroom is different from others in the school: they are adorned with vibrant drawings by the students. Colourful envelopes contain ‘a-word-a-day’, and there is a mini-library along one wall. The students are all happy and chat with Rai as she does her rounds. Rai spent her first year in Dhanusha and came to Dang this year. She decided to devote two years to teaching in rural Nepal because she believes Nepal’s future rests on the quality of education. She was persuaded to join Teach for Nepal after coming across four siblings in Kathmandu who dropped out of school. 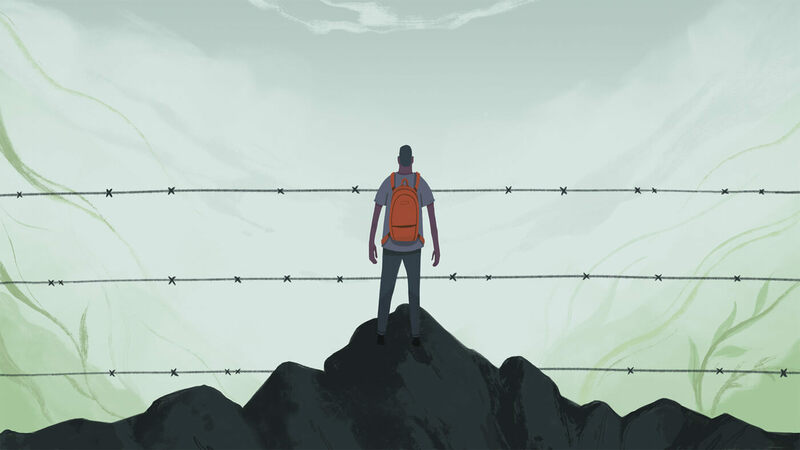 “I could not persuade them to complete their education, so I thought I would go to a village myself where there would be many such students I could teach,” Rai recalls. Teach for Nepal was the right platform because it sends fellows to villages that need change the most. But building rapport with students was a challenge. So, in her first class, Rai’s homework assignments was for the children to write letters to her. Few did in the beginning, but gradually even the more introverted children shared their stories. Kalakhola School is situated on the outskirts of Tulsipur, and is half-town, half-village. Better-off families send their boys to a nearby private school, while girls and children of poorer families attend the government school. Rai interacting with students in an outdoor class. As her fellowship draws to a close, Rai is handing over initiatives like a Learning Centre she set up for after-school activities to the students to run. She wants to build another centre using discarded plastic bottles that are strewn all over Dang. The Learning Centre is an additional platform to improve the English language skills of students through screening English language films on Fridays after school. It is also where they learn skills and craft that will help them after graduation. 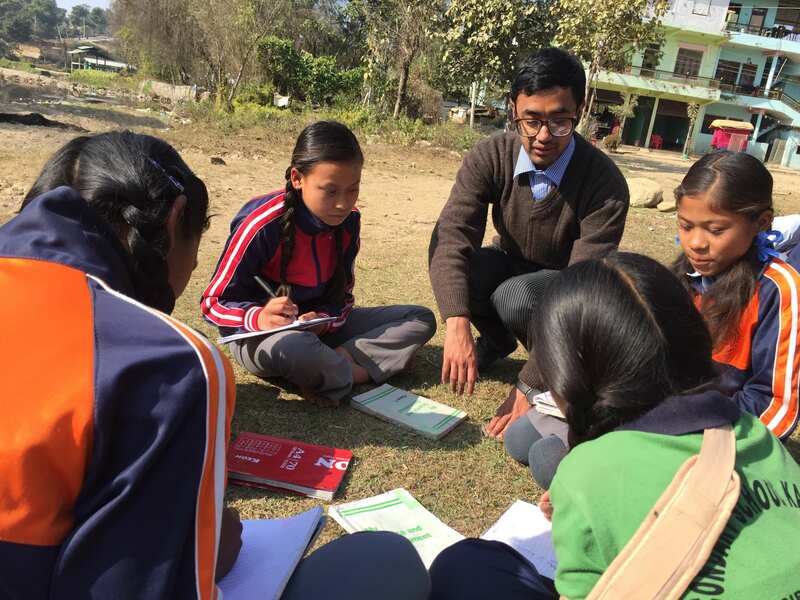 Rai’s co-fellow Samit Shakya is a science teacher, and started a STEM Club to give students an opportunity for practical learning. There are 19 other fellows in nine schools in Dang. Teach for Nepal’s work in Dang is a collaborative initiative with the municipal government led by the mayor which pays for the fellows, and supports their initiatives. Bhaskar Gautam of Tulsipur Municipality says bringing teachers from other parts of Nepal would enhance the exposure for students. Teach for Nepal is patterned after Teach for America, and strives to make education more egalitarian by raising the standard of instruction in neglected government schools through a fellowship program that recruits Nepali university graduates to work as teachers for two years. Fellows receive a 45-day training that prepares them not just with teaching techniques like preparing lesson plans and classroom management, but also about community immersion and social injustice. Teach for Nepal’s CEO Shishir Khanal says he was initially inspired by the Sri Lankan movement Sramadan which invests skills and human assets to empower local communities. 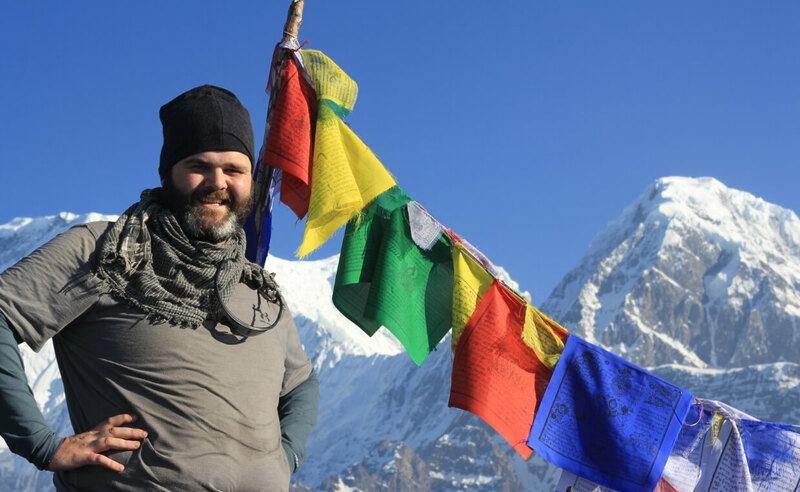 Khanal discovered that access to quality education was a prevalent problem across many remote communities in Nepal, which led him to start Teach for Nepal.